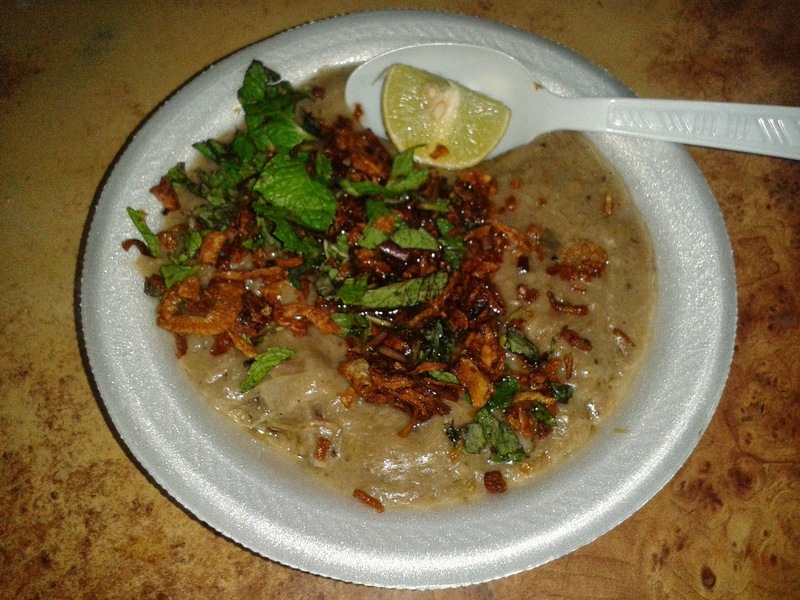 From the last year, a few places have started serving haleem a couple of weeks ahead of Ramzan. This year two iconic restaurants started serving haleem from the Shab E Barat night. 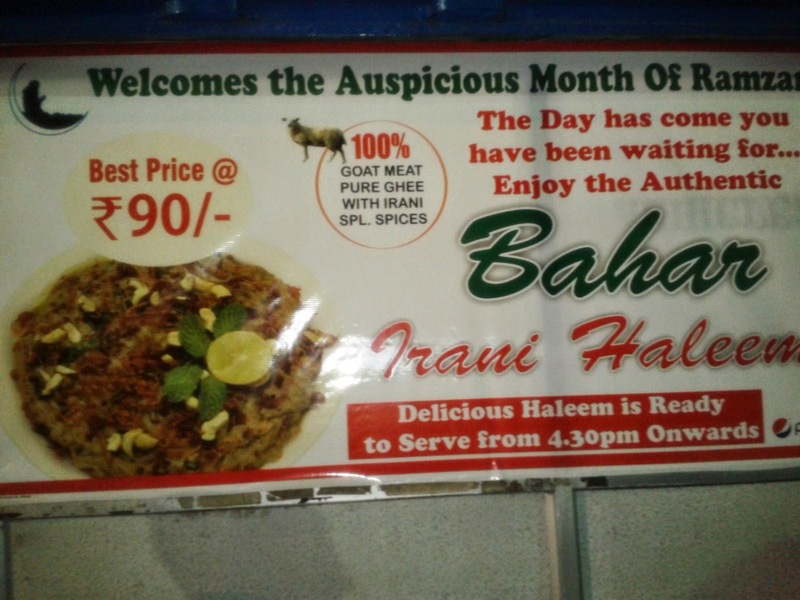 On seeing an advertisement in the Times of India, I landed up in Café Bahar, Hyderguda to have a first go at haleem this year. The restaurant was specially lit up for the special season. Haleem this year was priced at Rs 90 for a single plate and Rs 450 for a family pack (which they say can serve 6 people). I immediately went and purchased a token and within a few minutes the plate of haleem was handed over. The dish was well garnished with mint leaves, fried onions and a piece of lemon. As I retreated into a corner and dug into the dish, I was very disappointed. The dish was rich in spice and low on meat. In fact it was mostly bones and no meat. The taste of wheat so overbearing that almost tasted like wheat porridge.. Ghee was also less. Overall the balance in the dish was completely missing. I had also got a takeaway version for my home, and my wife gave a similar feedback. I had been a fan of their haleem over the years, and sincerely hope that they do something to improve the taste – change the meat-wheat balance and add more ghee. I tried giving the feedback to the guy on the counter, but the feedback was brushed aside and not taken positively. Normally the trend in some restaurants is that they serve their best haleem in the beginning of the season and quality goes down as the month progresses. 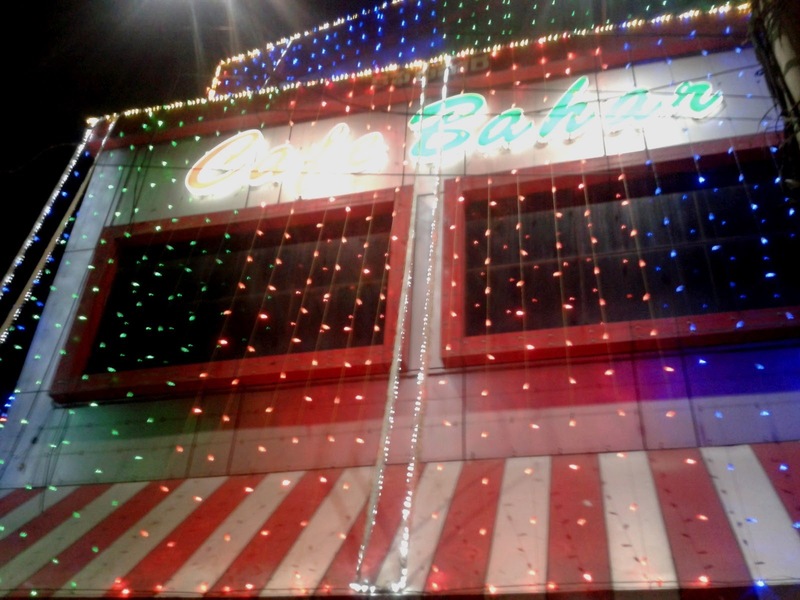 But Café Bahar disappointed me from the word ‘go’. Disclaimer: The feedback and ratings are based on sampling on a particular day. In many such outlets taste is not consistent, and varies from day to day and branch to branches.